It looks like Huawei is offering a $50 discount on new phones and $50 of Net10 credit for buying new phones from the US store. Nice. No doubt about it, the mid-range market is heating up, even in places where unlocked and contract-free phones have typically undersold. This morning Chinese smartphone maker Huawei announced the Ascend P8 Lite, a new offering for the US that has its sights set on competitors like the Moto G. The $250 phone is available right now from Huawei's online store in black or white, and it doesn't look like the company is interested in selling through conventional carriers. The GSM phone packs a variety of LTE bands: 2, 4, 5, 12, and 17, which means it should work with both AT&T and T-Mobile LTE service. It can work with both at the same time, in fact, since this is a dual-SIM phone. Storage is the standard 16GB, but can be augmented with a MicroSD card (not a given for a phone so thin), and the software is Android 4.4 underneath Huawei's EMUI skin. Not terrible, but a bit underwhelming since Lollipop has been available for more than half a year - shoppers might also want to consider the OnePlus One, currently (erratically) on sale for $250 for the 16GB model. 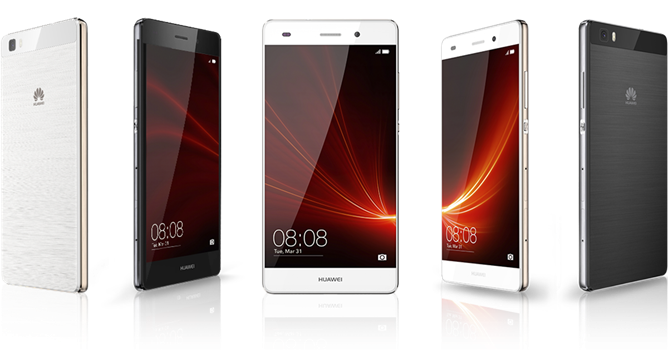 PLANO, Texas [June 3, 2015]: Huawei, a leading global information and communications technology solutions provider, today launched the Huawei P8 lite in the U.S., making it possible for U.S. consumers to have premium design and features at an accessible price. Available for just $249.99 USD, the P8 lite will be available as an unlocked device, giving consumers the option to take their phone to the network* of their choice. 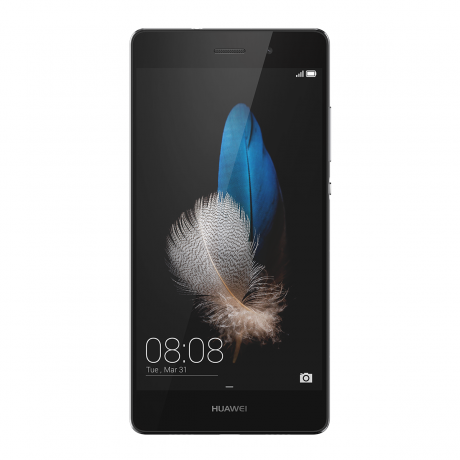 With design and craftsmanship inspired by the company’s premium global flagship devices, Huawei P8 lite’s ultra-slim 7.7mm profile and thin bezels make it perfectly compact and well-balanced in the hand. Demonstrating sophisticated design and quality craftsmanship, the metallic appearance of the phone’s back panel is achieved through a layered design of contrasting hues and a hand-crafted satin coating that feels smooth to touch, but glimmers in direct light. The P8 lite isn’t just beautiful— it’s also elegantly functional. The 5-inch HD Corning® Gorilla® Glass 3 display is designed for visual clarity and utmost durability. The 13 megapixel rear camera has built-in low light and autofocus capabilities which, along with the multi-frame noise reduction algorithm, ensure photos are clearer and brighter. With the launch of the P8 lite, Huawei is transforming consumers’ unlocked purchase experience. While more than 42 percent1 of consumers use or intend to purchase an unlocked device, there are still significant barriers that give consumers pause or reason to lack confidence. Among the leading roadblocks to purchasing an unlocked device are concerns about after-sales service, phone price and sales channels2. Huawei is addressing all of these concerns by introducing new benefits throughout the unlocked device purchase process. Huawei is introducing a new two-year warranty on unlocked smartphones launched this year, including the SnapTo, introduced in April, and the all new P8 lite. Consumers need only register at GetHuawei.com to receive the warranty’s benefits for an extended term. The two-year warranty joins Huawei’s already strong commitment to post-purchase support, with local customer service, localized repair and a variety of contact channels for consumers. Though the unlocked purchase model provides more freedom and choice, there is still an up-front cost for the device. Huawei is removing device sticker shock and giving consumers more flexible payment options by partnering with financial services leader Affirm. Now, consumers who purchase devices on www.GetHuawei.com have the option to select fixed installment plans of three, six and 12-months at the point of sale for device purchases of $99 or more. And once a purchase is made, consumers can have the confidence that it will arrive as promised and with easily accessible customer support thanks to Huawei’s partnership with trusted fulfillment provider Amazon. P8 lite is available beginning today, June 3, through Huawei’s ecommerce site, GetHuawei.com, Amazon.com, BestBuy.com, B&H in-store and online, Fry’s Electronics in-store and online and various dealer networks. P8 lite will also be coming soon to select Best Buy stores. In celebration of GetHuawei.com’s one-year anniversary, consumers who are registered or register on the website between June 3 and June 6 will receive promotional incentives good for discounts on select products, including the newly launched P8 lite, Mate2 and SnapTo. For more information about the P8 lite, visit http://www.gethuawei.com/p8lite.html.